As photographers, we often find ourselves faced with endless choices of gadgets and gizmos that could aid in our artwork. Today I want to share a few items that you could find useful in your camera bag, closet or drawer. These items might not be useful on a regular basis, but when you need it, having them could be a project saver. The first product I want to share is the Hero Clip. It’s a carabiner unlock any you’ve used before. It’s a carabiner with a hook. Yes, that simple! Having these around the studio have proved handy and having one in my camera bag while with other photographers has also proved useful like when photographers have a tripod with no center column hook for holding their bag. Don’t be scared of cleaning your camera’s sensor and always keep your lenses glass clean. Use professional solutions and never, ever, use canned air. I’ve always used a Delkin Sensor Scope and its solution. But I was recently introduced to the new system from Aurora Camera Care, and I’m extremely impressed! As someone who deals with daily back pain, I cannot stress the importance of a quality system for your camera. That’s why I use the Spider Holster system for all my cameras. In fact, I use a Really Right Stuff L Bracket on both my DSLR and mirrorless cameras. Having the Spider Pro Clamp alongside my Spider Holster makes it easy and fast to go from waist to tripod in seconds. The new SpiderPro plate and the lens collar doubles as Arca Swiss mounts, which make it easy mounting on most tripods within their system. It’s a win-win. The quality holding of cameras and your back and neck will thank you. Every photo studio needs accent lights, whether small strobes or LED lights. These compact, magnetizable and waterproof lights from CAT are sold at Costco for under $20 (for a two pack). One of the challenges I have by having a home studio for my photography is space. My studio is in our finished basement, with low drop ceilings. So I cannot have lighting up high and am limited to space I have available. That’s why I recommend using background light stands when needing to illuminate your backgrounds. Their extremely small, and low to the ground. They stay out of the way, and can be weighted down for stability. So many brands make these, are their quite affordable. 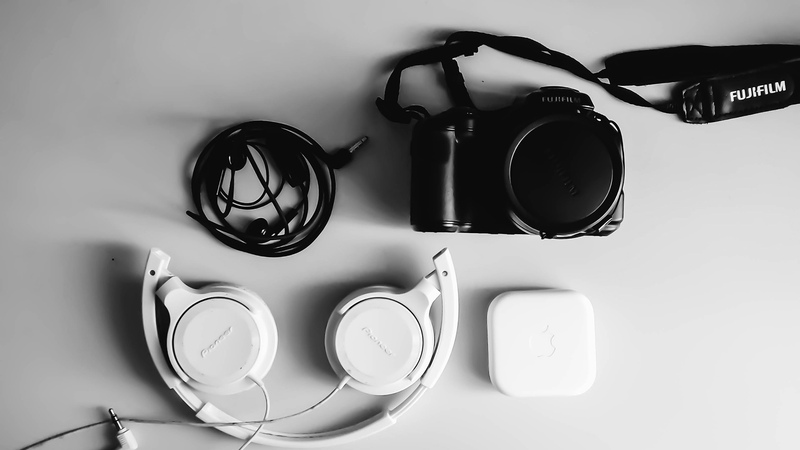 What is a go-to gadget or gizmo you recommend photographers think about picking up for their travels, studios or just to have around the house? I found these XUME Lens Adapter and Filter Holder Kits extremely useful when out in the field doing long exposures. The XUME adapters make attaching and removing ND filter super easy. The filter kits come in different filter sizes to work with most lenses.